Here inside the huddle of a time-out Coach Rauls goes over a strategy for victory. Notice in the background that the gymnasium is packed. Standing room only. Top row (L-R) Cecil Dowell, Coach Phillip Rauls, Bobby Parks, Marvin Alexander, Robbie Randolph, Dennis Isbell. Bottom row sitting (L-R) Anthony Love, Dexter Reed and Don Dorsey. Winning the league tournament in the Bluff City Classic two years in a row was a honor that remains special to these talented athletes. 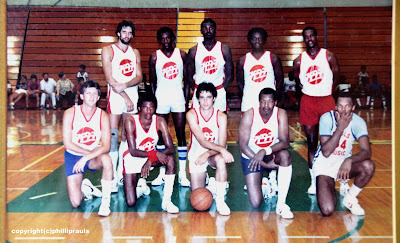 Top row (L-R) Coach Rauls, Bobby Parks, Johnny Gibson, William Bedford, George Morrow, Dwight Moody, James Wiggins. Bottom row (L-R) Unknown, Unknown, Don Dorsey, Andre Laird, Cecil Dowell, Phillip 'Doom' Haynes. 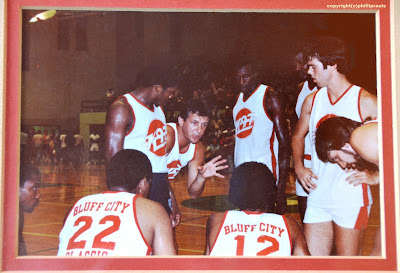 The Bluff City Classic league was sponsored two years in a row by Rock 103 Radio. Those lobbing efforts were created thru the business association of Phillip Rauls and the generous support provided by the radio station's general manager, Bill Thomas. 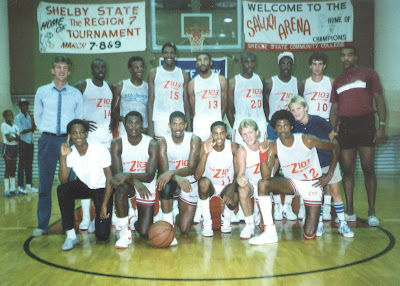 Top row (L-R) Coach Phillip Rauls, James Wiggins, Bobby Parks, William Bedford, Johnny Gibson, Marvin Alexander, Dwight Moody, unknown, George Morrow. 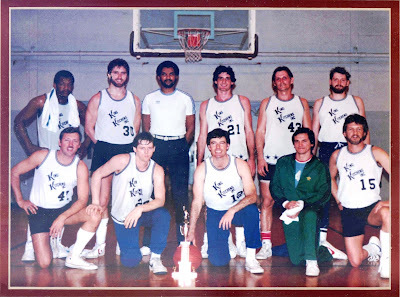 Bottom row (L-R) Unknown, Andre Laird, Cecil Dowell, Unknown, Unknown, Don Dorsey, Jon-Eric Rauls. 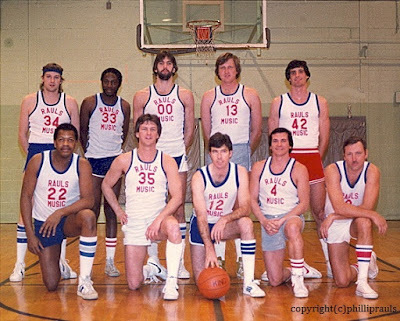 Pictured here the year before, radio station K-97 sponsored the league. Again, those efforts were supported by Coach Phillip Rauls' background in the media business. 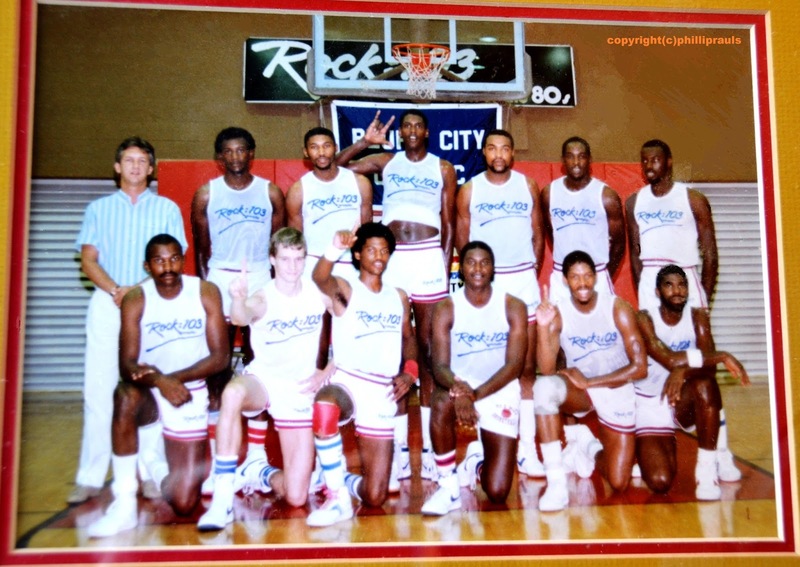 Top row (L-R) Dennis Isbell, Bobby Parks, Michael Bates, Unknown, Anthony Love. Bottom row (L-R) Coach Phillip Rauls, Don Dorsey, Robbie Randolph, Dexter Reed, Jerome Mincy. Pre-game strategy was vital to the discipline in winning a contest. Here Coach Phillip Rauls preaches a strong defense and the key to victory. 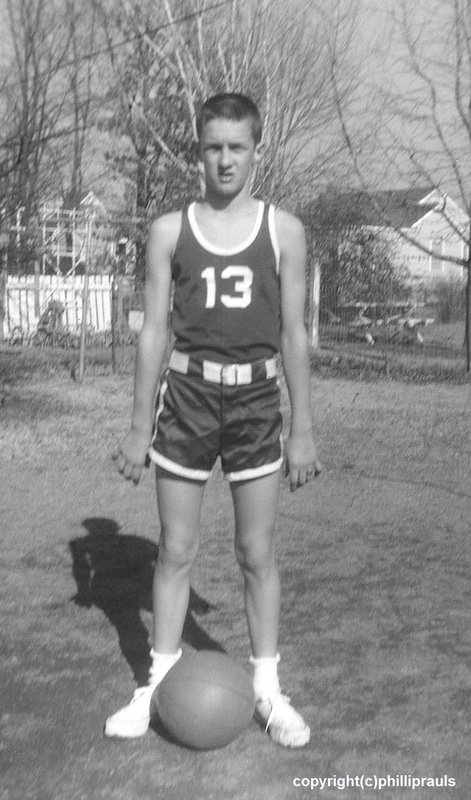 Player number # 15 with back to camera was 7' 1" Center William Bedford who would go on to play in the NBA for several years with the Detroit Pistons. Not all games ended in victory. Here players reveal a somber mood after losing a big game. 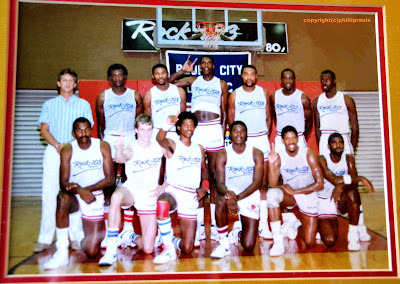 Top row (L-R) Unknown, John Kilzer, Johnny Gibson, William Bedford, Marvin Alexander, M. Dowell, Anthony Love. Bottom row (L-R) Coach Phillip Rauls, Cecil Dowell, Don Dorsey, Kenneth Moody, Dwight Moody. 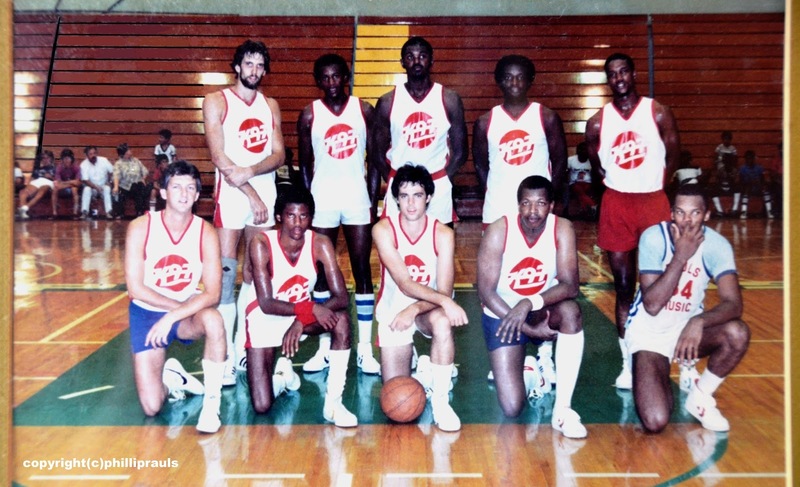 The Rauls Music Basketball Team was considered as a tough contender and filled gymnasiums with supportive fans. Even the local newspaper wrote about them and featured photographs of their game shenanigans. Top Row (L-R) John Kilzer, Malcolm McKinney, Dennis Isbell, Ron Franz, Mike O'Keefe. 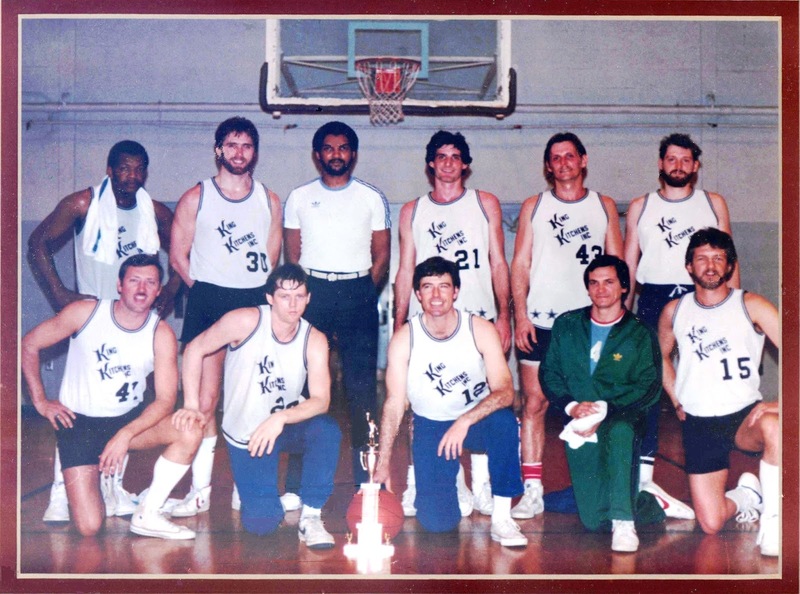 Bottom row (L-R) Dexter Reed, Phillip Rauls, Mike Butler, Mike King, Jeff Wyatt. Looking like poster boys for a Colgate Toothpaste commercial, here the King Kitchens - Rauls Music Basketball Team shows off their pearly whites. Top Row (L-R) Craig Alexander, John Kilzer, Stan Jones, Jim Hawkins, C. Todd. 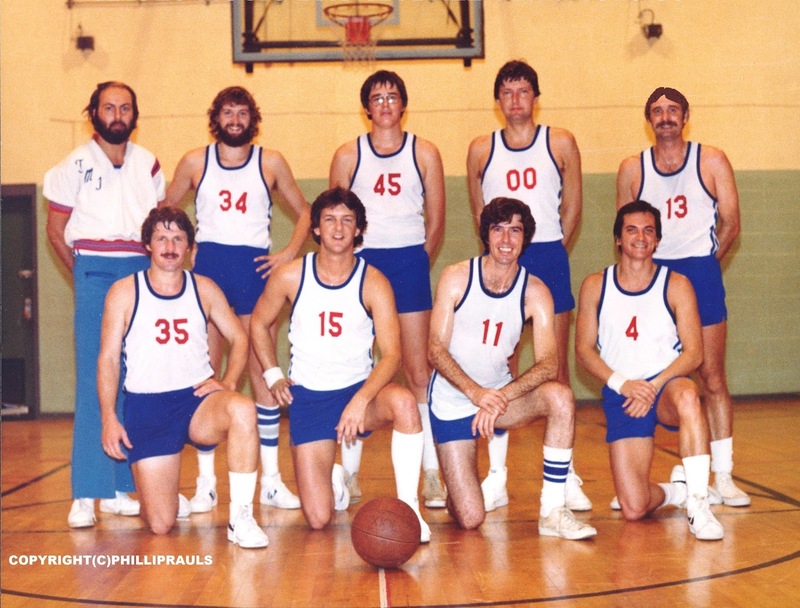 Bottom row (L-R) David Gingold, Phillip Rauls, Mike Butler, Mike King. 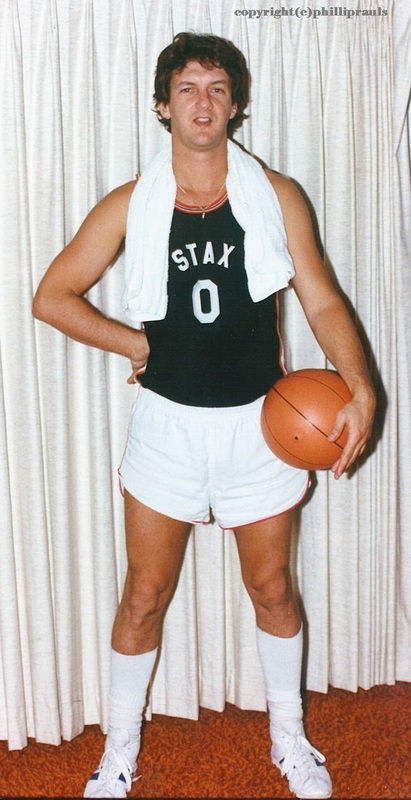 Playing for the corporate Basketball Team at STAX Records was indeed a blast. 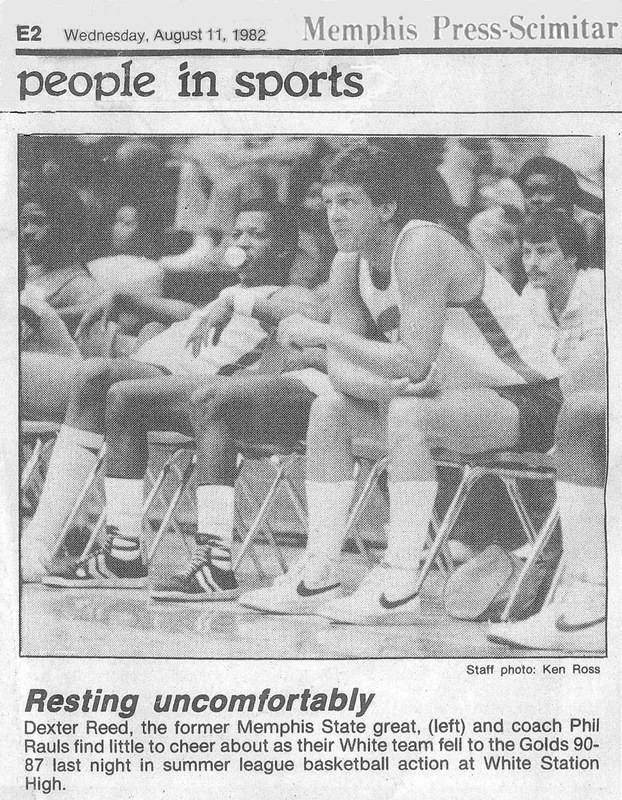 Here Phillip Rauls reveals the sound reasoning for being singled out among others for those ever-recognizable legs. 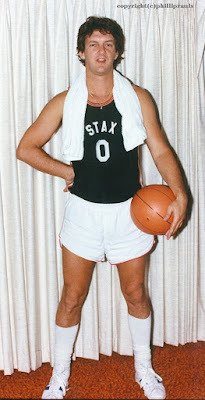 Coaching a Junior Basketball Team for the East Memphis YMCA had it moments. Here are some fine young men who gave their all for the team. As mentioned earlier, some of these photographs didn't hold-up well over a long period of time. Apologies to those athletes as some photo adjustments were applied. Top row (L-R) Steve Rowland, Randy Hoover, David Gingold, Mike King. 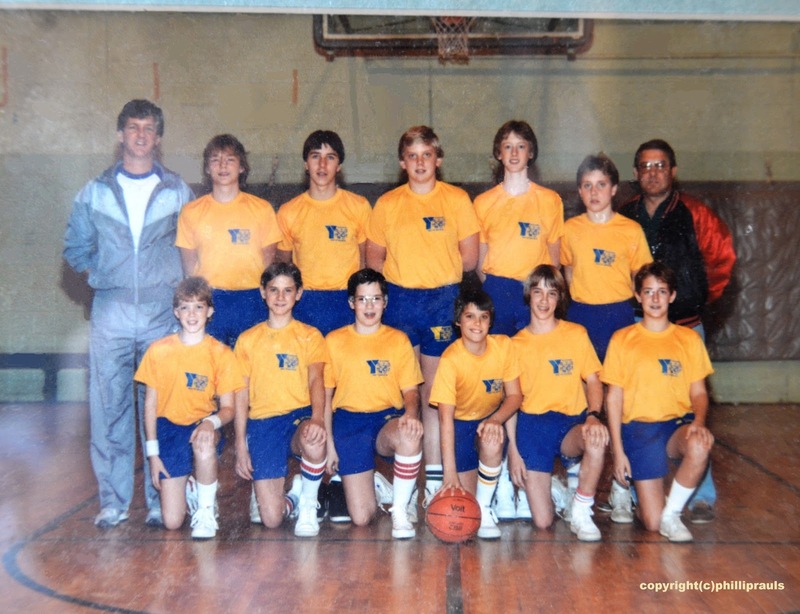 Bottom row (L-R) Big Chuck, Phillip Rauls, Jeff Wyatt, John Webb. 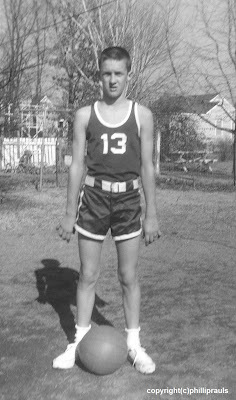 In conclusion, I would like to say that these basketball photo archives date back to the Treadwell Jr. High School basketball program. Coached by former Old Miss basketball star Jerry Bynum, no doubt he had a strong influence upon my life. When his voice rang out the nickname he had coined me with, "Lefty" I lit-up with prideful joy. From that moment on I always desired to leave footprints. Now back to the very beginning of this story where I had been wrongly disputed by someone about my long background of being involved in coaching and playing in this wonderful game. To him I proudly say, "You may now wipe the egg dripping from your sour-puss face."